Julie and her husband, Michael, served long ago in the mission field of Jamaica for 6 years. They have always had a desire to serve and share Jesus with lost souls in our world. Yet, it wasn’t until Julie watched I Want This City that she became aware of the great need in Asia. This put a passion in her heart to help reach these people. She also encouraged Michael to watch the series I Want This City by Jon Wood. She was suddenly on fire to help the people in Southeast Asia. In 2016, Michael and Julie met Jon and Natalie at the Village Chapel. Michael was preaching a series called Delighting in the Almighty: A Practical Guide to Primitive Godliness. 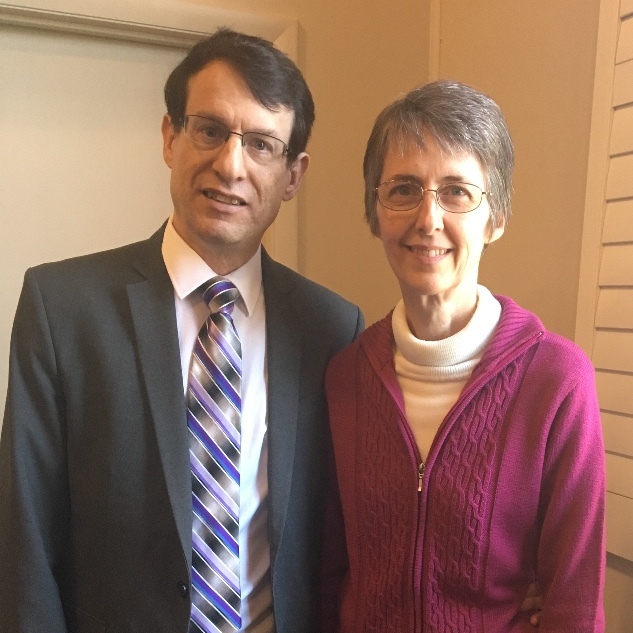 Michael preached every third Sabbath at Village Chapel and a friendship began to grow between the two couples. During this time, FaithCamp East was being advertised. In August Julie attended FaithCamp where Jon began to encourage her to send her boys to Philippine Youth for Christ (PYC). Then Jon got the idea that it would be great if Michael could speak at PYC. Jon had no idea that Michael had actually been praying for that very opportunity. Julie liked the idea but had concerns about the cost. God needed to work some miracles for this to happen. As time passed, there was neither invitation nor funds to speak at PYC and things didn’t look too promising. Still, everyone continued to pray. The Dants kept in contact with the Wood family, and Julie continued to hear about the need for a JFA bookkeeper. However, she kept putting the idea out of her mind because she was still recovering from a recent shoulder surgery. Her passion for the lost in Thailand was growing and the Holy Spirit was speaking to her. After battling with this still small voice, Julie applied. The day Julie called, someone else also called about the job. This happened to be a couple days after the Woods had bought tickets to go to Thailand for two months in order to film MissionTrek. They knew it would be impossible for Natalie to leave the country for 9 weeks unless God provided a bookkeeper. Trusting Him, they had stepped out in faith. Now the Woods knew without a doubt that God was providing! Julie wanted a full time position, while the other person wanted to help out voluntarily. Jon and Natalie hired Julie and the other person helped out when he could. By the time the Wood family left for Thailand in January 2017, Julie had received only two and a half weeks of training. Needless to say, the pressure and stress was intense for her. So much so, that she broke out in hives not long after they left. During the whole process Natalie was very patient and understanding, trying her best to help Julie as much as possible from a 12 hour different time zone. During this time, God was continuing to open doors. Michael got an invitation to speak at PYC, and money became available for the trip. Michael and Julie were confident that God was leading. Julie still had a desire to help the people of Thailand. She suggested that Michael should take a short flight from the Philippines to Thailand, and do some seminars there too. Jon agreed, and thought Michael could also be a blessing to India. In the end, Michael spoke 49 times in 42 days! God blessed abundantly! Since then, Michael has continued to share seminars at churches and conferences, both locally and internationally. Many people have had the opportunity to hear about practical righteousness by faith. I would highly recommend that you also listen to the series. You can find it on Audioverse or at delighting.org. Please keep Michael and Julie in your prayers. Their ministry has not been without struggle and setbacks. We have an enemy that is determined to use all his efforts to discourage and defeat us. May we continually lift one another up in prayer. Julie Dant has become extremely vital to our work here at Jesus for Asia. We are greatly blessed to have her as part of our team. Julie has humbly dedicated her life to use the talents God has given her for His work. We are grateful to have her here. Thanks for all you do, Julie!